Spinel was formed in the geological process of contact metamorphism associated with intrusions of molten rock masses. This is the same process which produces rubies and sapphires. 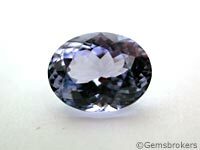 Since both spinel and corundum are durable materials, they occur together in the gem deposits. In addition to Myanmar (formerly Burma), well known for the red to orange varieties, spinel is mined in Sri Lanka, Thailand, Afghanistan, Brazil, Vietnam, Turkey, United States and Nigeria. Tadjikistan is an important source for the violet to purple varieties.